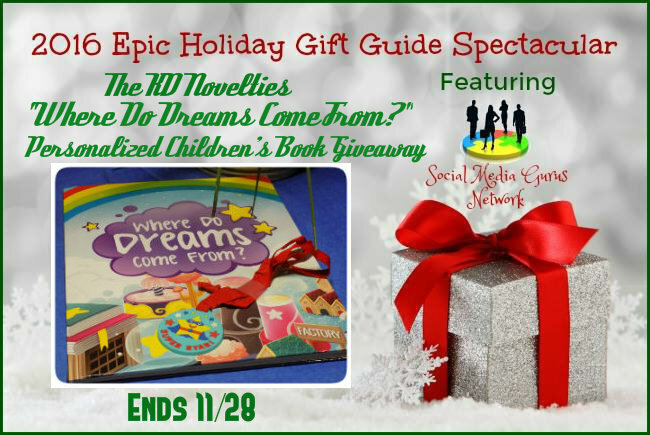 Welcome to the 2016 Epic Holiday Gift Guide Spectacular The KD Novelties “Where Do Dreams Come From?” Personalized Children’s Book Giveaway ! Next post: #PlayLikeHasbro Toys You the Kids are Going to Want! I would personalize this for my granddaughter as she is the reader in the family.